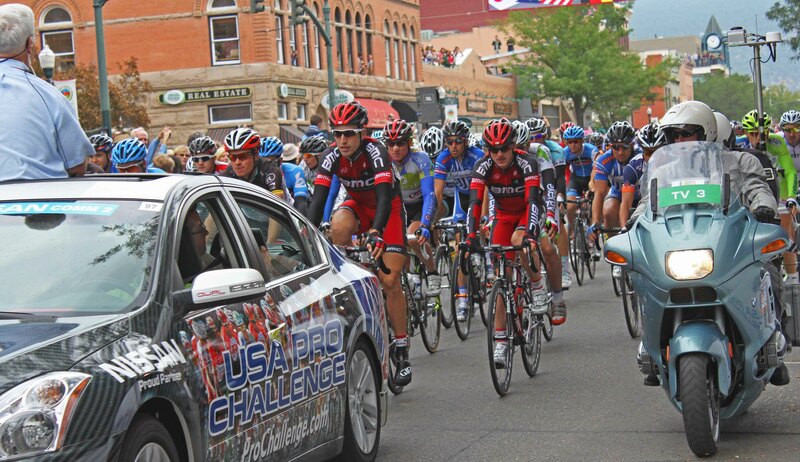 The professional cyclists of the world descended on Durango for the start of the 7 day USA Pro Cycling Challenge. 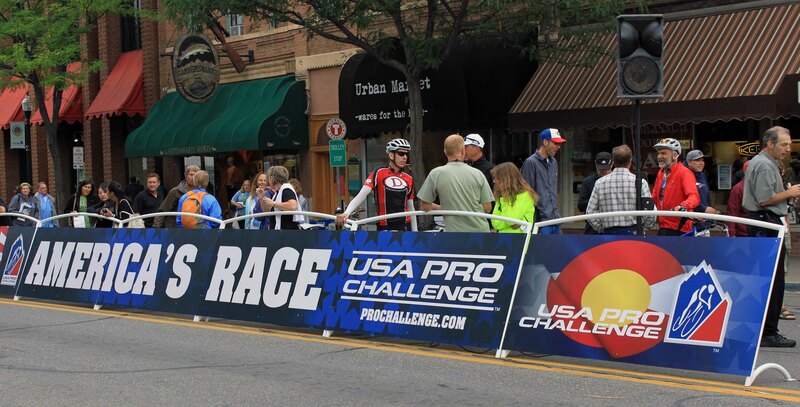 The race consists of 7 stages across Colorado and it all started in Durango. The final stage was in Denver. Over 680 miles over lots of high passes, several over 12,000 feet. We were there for the start. The energy and excitement was electrifying. The noise of the crowd was deafening. And yet it was intimate and personal with riders high-five-ing the crowd as they got ready to race. The crowd was close to the excitement and you could look into the eyes of the riders. These are incredible athletes. What great and unexpected fun. Just the kind of thing that happens when we live and travel in our RV and experience life in different parts of the country. 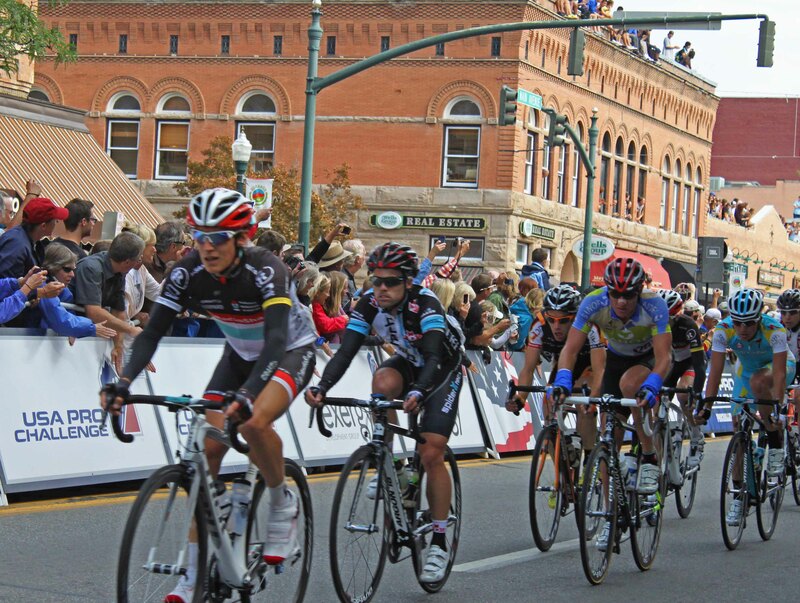 This entry was posted in Durango and tagged Cycling, Durango. Bookmark the permalink. How great you got to see the start. One has to really admire these athletes and their endurance. 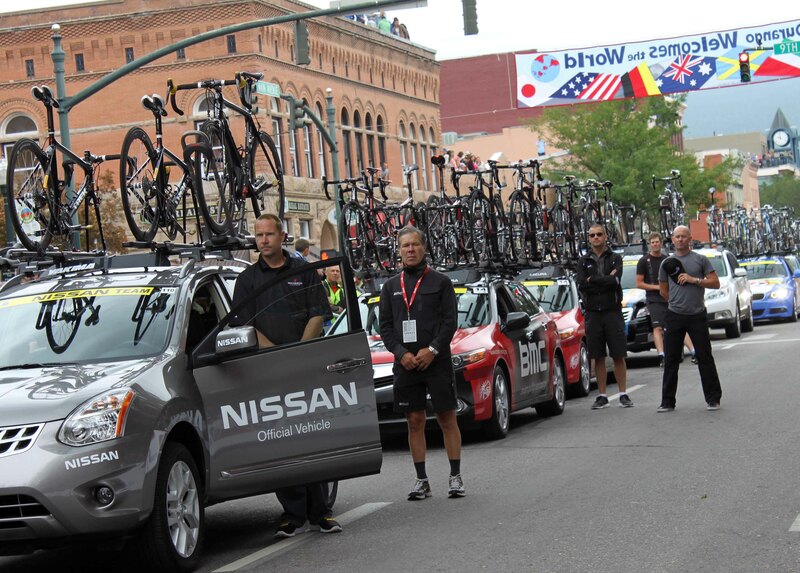 I love the pre -race photo with all the bikes still in their carriers. I am a pro cycling fan, and I am so happy you got to see some of it. I would have loved that. Just wish NBC had given it adequate coverage, which they did not. Colorado looked so beautiful.